Spencer Properties are delighted to announce that we will be sponsoring The Spencer Properties Leeds Rhinos Dance Team. John Spencer Group CEO, Spencer Properties commented: “The Spencer Properties Dance Team are a fundamental and very popular part of the Leeds Carnegie match day experience and we are pleased to sponsor them and to continue to support this great club”. 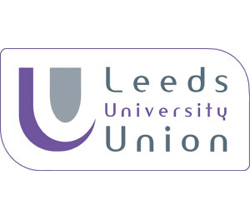 We are happy to announce that we are proud sponsors of Leeds University Union. LUU represent over 30,000 students at the University of Leeds by providing them with opportunities, helping to create change and offering support throughout their time at University. They are dedicated to ensuring all students enjoy their time in Leeds. LUU have helped us reach 100’s of students to provide them with luxury accommodation over the past years. We offer a smooth, hassle free process when signing up and LUU have continued to promote our abilities to the students of Leeds! We are proud sponsors of the Leeds Student Radio for a third year running. LSR is a student radio station that broadcasts every day during term time, from 9AM until 3AM. Spencer Properties works closely with this station as they help to promote excellent quality accommodation at affordable prices to the local student community. 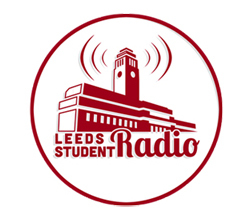 LSR is the official student radio station of the University of Leeds, but welcomes students from all over the city, regardless of their University. We are pleased to be associated with this wonderful radio station which continues to reach 100’s of students every day. Benjamin Sanbrook-Davies, Head of marketing said, "Spencer Properties is one of our biggest and most supportive sponsors, and without their input we wouldn't be able to produce some of the incredible, award winning content that we currently do. It's a partnership we value greatly, and hope to continue and expand in the years to come."